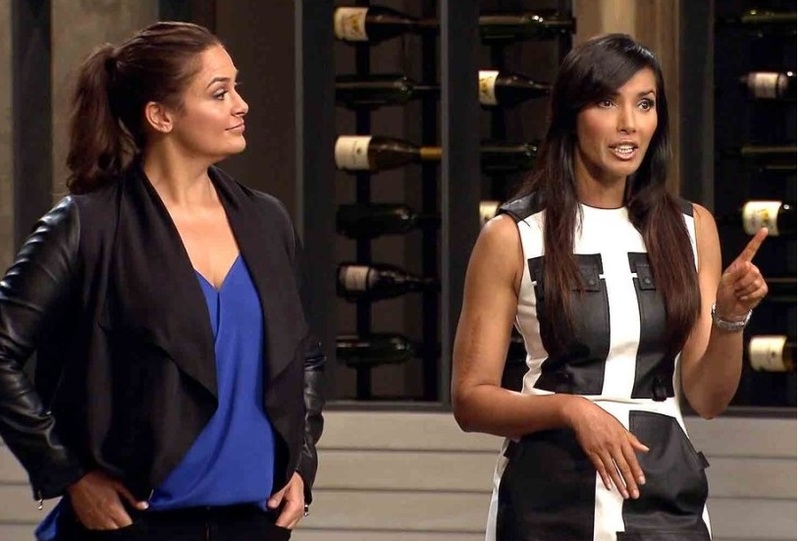 Top Chef - Episode 8 - Where's the Beef? This episode had a really fun Quickfire challenge. Padma explained that, inspired by a mysterious new Instagram chef, our contestants would be doing a plating challenge, and the chef with the most "likes" on Instagram would win immunity. 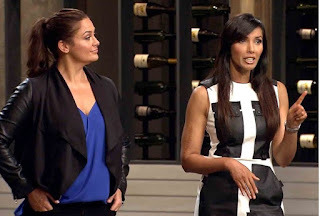 The mysterious guest judge known as "Jacques La Merde," face and voice disguised, showed up via screen to encourage the chefs, and Padma revealed that like Chef La Merde, they would only be using junk food, such as Twinkies, Oreos, Cheetos, and so on. In my mind, they did most of this just right. Thank God the dishes didn't have to be edible -- although I do remember the time in Season 1 when the chefs had to make an edible dish out of vending machine fare.... And thank goodness that while the winner would get immunity, this was no sudden death quickfire, so nobody faced elimination for their artistic talents or lack thereof. Most of the chefs embraced the challenge and seemed to have fun doing it, but if you had to guess who the exception was? If you said Phillip, you'd be right. He takes himself so seriously that he prowled around his dish from every side, looking for the perfect angle from which to take his Instagram photo. Based on the reactions from Padma, Chef La Merde (who turned out to be Christine Flynn) and the rest of the chefs, this probably took a lot longer than we saw onscreen. My only issue was that the way the photos were displayed on the TV screen, "framed" by their Instagram posts, made it difficult to really see any detail. They did put up a larger size image at the end of some of the chefs' turns, but only for an moment. The whole point of this food was the way it looked; I would have liked to be able to really look at it! I was definitely surprised at some of the chefs' choices. Isaac, who was on the blue team with Chad and Marjorie, decided to serve chicken and bacon sausage rather than some kind of red meat. Chad ended up making tuna, which wasn't his first choice, but the Whole Foods store didn't have enough of the kind of fish he wanted. Marjorie chose to make pickled vegetables and bread. The latter was a risk, but it was a smart one, because that kind of hands-on, medieval dining really needs some bread. Service was ... odd. If I were wearing a gown at a black-tie charity event and was not allowed cutlery or napkins while eating, I sure as heck would want the apron bib to cover a lot more of my clothes. And what was someone thinking, dressing Padma in white? But what was really odd is that judges almost seemed like they were drunk. 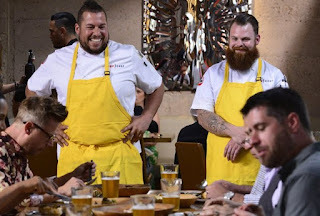 It's great that they were having fun, but while they were acting silly and trying to one-up each other with clever remarks, they seemed to forget that the chefs who had just busted their butts getting this food ready were standing right there and hearing some of it. The judges are there to criticize, not ridicule. Maybe I'm being oversensitive, but I thought the judges were really disrespectful this week. In terms of the specific criticism, the judges' biggest complaint was that a lot of the food was too dainty. They felt that Isaac's sausage, Carl and Karen's beef loin, and Phillip's lamb fit the parameters of the challenge most closely, but Isaac's sausage was dry, and the steak was too small on the plate. They were definitely not impressed with any of the seafood. Both of the fish dishes were way too dainty, and Kwame's shrimp was apparently quite unappetizing in its preparation. But it's hard for me to imagine seafood prepared in such a way as to fit the medieval dinner atmosphere. I picture turkey drumsticks, sausage, and other meat on a stick. Seafood is a lot more fragile. I think it would have made more sense if the challenge had been to prepare at least two different proteins and two side dishes. Then the judges would have gotten a lot more of what they were looking for. At judges' table, the first order of business was to announce the winner of the of the Quickfire Challenge: Karen, who maybe had the most adorable reaction ever when she practically shouted "Shut UP!" at the judges upon hearing her name. Her immunity didn't really come into play, though, since the red team was neither on the top or the bottom. Not surprisingly, the green team had the judges' favorite meal, with Phillip taking home the win for his lamb. I don't really like Phillip, and this win is not likely to improve his appeal, but I was glad to see the other chefs congratulate him and seem to mean it. This is a pretty nice group of people so far. The blue team was the least favorite. It was quickly clear that Marjorie would be safe, with her nicely prepared vegetables and bread. I think it was a close call between Isaac's sausage and Chad's tuna, but ultimately Chad went home. So, this was an episode that started out strong for me, but made me a little unhappy as it went on. I'm also a little nervous about next week's "Restaurant Wars." Although in recent seasons they seem to have gotten away from making the chefs worry about decor, the previews here showed them hanging artwork on the wall. Really? And they'll be serving both lunch and dinner. I think I do like the idea that each person must serve at least once as Executive Chef or front of the house, because those are always the danger spots and I'm happy to see the risk spread more equally. That's probably the reason for making the chefs do two services, but in a way it also feels like setting them up to fail. We shall see. First things first: this is not a post about fiction published in 2015. Rather, these are my thoughts on the 445 short works that I read in 2015, from just over 100 different venues including magazines, collections, anthologies, and author websites. I started on January 1, 2015, with the goal of reading at least one short story every day for a year. The "rules" I set for myself meant that I could catch up when necessary, but I couldn't read ahead. So if I missed two days while away for a weekend, I had to make up those dates. But if I was caught up and still felt like reading a few short stories on any given day, those did not count towards future dates. Hence the 445 stories in a 365-day year. 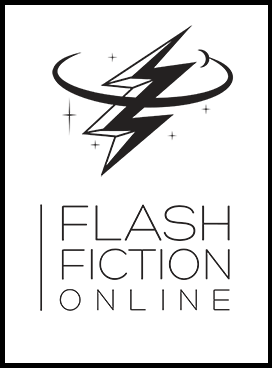 While the number sounds impressive, I feel compelled to mention that a lot of the stories I read were flash fiction, which I define as under 1,000 words. Another "rule" was that stories had to be published, so the dozens of unpublished stories I've critiqued for both online and in-person groups were not counted. I had two main reasons for doing this. First, I hoped that reading so many short stories would allow me to absorb some wisdom that I could incorporate into my own writing. Second, I wanted to become a more informed voter for the Hugo, Nebula, and World Fantasy Awards. I feel as though I definitely accomplished the latter, although I'm also hopelessly aware that these stories are barely a drop in the bucket compared to what's out there. Whether my own writing has gained any benefit from this experiment, I can't say. I'm submitting and selling more than ever before, but I think that has more to do with how much I'm writing rather than how much I'm reading. That said, reading can never be bad for a writer, and I do not understand writers who say they don't read other authors' work. 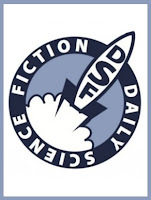 The publication I read the most was Daily Science Fiction, with 76 stories. The second most was QuarterReads (47 stories), but in a way that doesn't count, because QuarterReads wasn't doing any kind of editorial oversight and most of the works had been previously published elsewhere. (In fact, there was a distinct difference in quality in that I didn't like most of the stories original to QuarterReads nearly as much as the others). 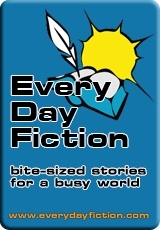 The third most was Every Day Fiction, another daily flash market, with 37 stories. 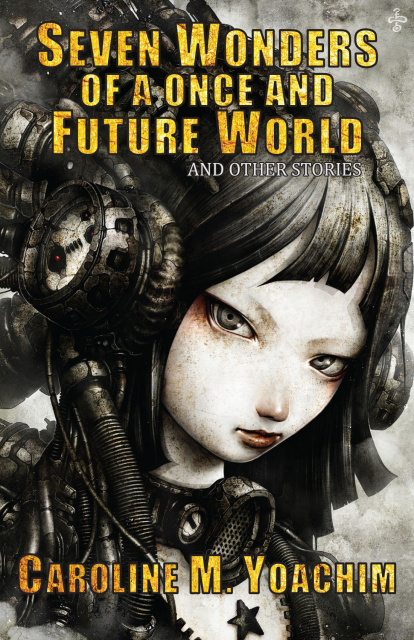 Other magazines for which I read at least seven stories included Perihelion SF (12), Clarkesworld (10), Strange Horizons (9), Crossed Genres (9), Lightspeed (8), One Teen Story (8), Diabolical Plots (7), and Nature's "Futures" (7). Before running the numbers, my memory and instincts told me that my tastes seemed to align best with those of Crossed Genres and Diabolical Plots. In looking at those magazines for which I read at least five stories, my average ratings on a scale of 1 to 5 were: Flash Fiction Online (4.08), Clarkesworld (3.80), Diabolical Plots (3.79), Lightspeed (3.69), Strange Horizons (3.67), Nature Futures (3.50), One Teen Story (3.38), Daily Science Fiction (3.31), Tor.com (3.30), F&SF (3.20), Crossed Genres (3.17), Every Day Fiction (3.05), and Perihelion (2.71). It's worth mentioning that these are all actually good ratings. If I rate a story 2.5 stars, that means that I think it was average, and the things I like and dislike about it are about equal. So anything above that means better than average. I also had at least one 4 or 4.5 star rating for most of those publications. Most, but not all, were science fiction or fantasy. It's also important to note that this is by no means random. I'm always listening to other people's recommendations, so if someone has described this great story that they read on Lightspeed or Clarkesworld and I like the sound of it, it has a much better chance of pleasing me than a story I've picked at random from a small publication. And that's OK -- this reading is for me. Finally, I should mention that lots of magazines ended up with even higher average ratings, but they were based on only a couple of stories. I'm developing a list of my favorite short fiction writers. Ted Chiang was already on that list (duh! ), but I now deliberately seek out short stories by Caroline Yoachim and Ursula Vernon too. That's not to say I love every piece by every one of these authors -- there are even a few Chiang stories that don't do it for me -- but I'm excited to read their new work and I enjoy it more often than not. (And the best part is that Caroline and Ursula both have tons of work I haven't read yet!) Finally, I want to get back to Hannu Rajaniemi's collection -- I loved some of his stories and would have included them as favorites in my monthly round-up posts, but decided I wanted to do a post on the entire collection. That's on the to do list. I've learned that I definitely prefer shorter stories. Not necessarily flash, but a story has to be brilliant for me to want to keep reading past, say, 6,000 words. I'd say my sweet spot is probably about 3,000-4,000 words. But speaking of flash, if you're ignoring it because you think it's all gimmicks, you're missing out. I have nominated a few pieces of flash for either the Hugo or the Nebula (or both), and will continue to do so when warranted. 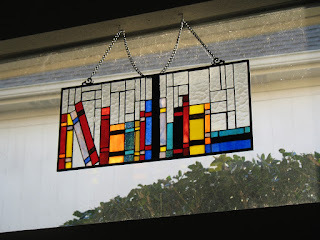 I was extremely disappointed to learn that both Crossed Genres and QuarterReads are no more. I adored the way Crossed Genres did themed issues, one per month, and then published three stories, one of which was always by a debut author. And QuarterReads was such a fun concept: pay a quarter to read a story, with the option to tip the author if you really liked it. Unfortunately, this venture only lasted about a year, and although the proprietor said he plans to pay authors what they're owed, even if they haven't yet reached the $10 threshold, I am not holding my breath. As a reader, I also feel short-changed, because I can still use my remaining quarters (I just tested it), but no new work is being added. Oh well. Data-wise, I'm now keeping more careful track of story word counts so that I don't have to scramble later, trying to remember if it's a short story, novella, or novelette. And I'm keeping the spreadsheet as I go, so I don't have to spend all of January next year compiling a year's worth of information! I also want to be able to easily run the numbers for how many stories I read that were published in a given year. One thing I won't change: in my monthly posts, I talk about my favorite stories of the month. I list everything I read, but I have no plans to discuss stories I didn't like. I think the closest I might come is if I love most of a story but one thing breaks it for me -- but even that I'm not sure about. That said, if I list a story as read but don't discuss it, that doesn't necessarily mean I didn't like it. In fact, I might like it a lot. I may just not have anything to say about it. This is Amy. Amy reads lots of short fiction. Amy is smart. Be like Amy. 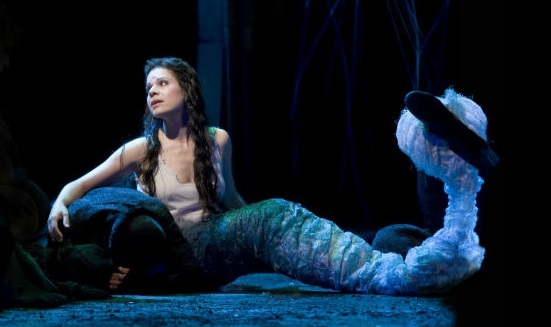 Alongside its stunning production of The Marriage of Figaro, Houston Grand Opera is currently staging Antonín Dvořák's Rusalka, a tragic tale of a water nymph that has much in common with the familiar story of the Little Mermaid. It's a simple opera in many ways: Rusalka, a water nymph in a lake in a wood, falls in love with the Prince who sometimes comes to the lake to swim. She tells her father of her wish to become human; he warns her of dire consequences, but nonetheless sends her to the witch Ježibaba for help. Alas, Rusalka must give up her voice to become human and has difficulty conveying her feelings to the fickle Prince. Unable to hold his attention, she is then cursed to return to the waters as a spirit of death, neither alive nor dead. The only way to escape this fate would be to kill the Prince by her own hand, but Rusalka, still in love, refuses. Now remorseful, the Prince returns to her, but it is too late and they cannot both be saved. Rusalka resists but finally kisses the prince, allowing him to die peacefully while she returns to the lake, where she must endure the curse for eternity in exchange for that one perfect moment of love. Naturally, the music is lovely (duh, Dvořák...). The staging is very creative, especially in Acts I and III. The production incorporates an unusual amount of ballet, with a white doe whose ears and antlers (not that female deer usually have antlers) are provided by "hidden" dancers dressed all in black. It's a lovely effect. When Rusalka enters on wires, her tail is also moved in part by the black-clad dancers, twitching with emotion much like a cat's tail. Several additional mermaids appear on wires in the first and third acts. It's slightly odd that the audience perspective and the scenery don't change, and that the mermaids who are underwater come from above when we're still technically in the woods, but the set does a wonderful job of representing both milieus at the same time, and it's easy to let your mind's eye believe it. The only disconnects for me came in Act II. Here, the castle servants are gossiping while preparing for the Prince's marriage to Rusalka even while he shows signs of losing interest. The gamekeeper and a kitchen maid (his niece, I think?) are dressed in costumes that looked they belonged in a World War I (or maybe II?) medical field tent. The kitchen maid's attire was echoed by the other female servants, but something about their costumes looked less nurse- and more servant-like. I did enjoy the parade of colorful costumes worn by the guests, but then I was once again distracted when roses were strewn all over the center ramp, and I spent the rest of the act worried someone was going to fall on them. It was just a little ... messy. Similarly, earlier on when the servants are preparing for the festivities, they trot up and down little staircases attached to the ramps. I liked the visual effect of their bustling, but it was also a little noisy. Another interesting costume effect was the white ball gown in which the servants dress Rusalka. It was asymmetric, protruding stiffly to one side while she continues to get used to having legs instead of a tail. I thought this nicely conveyed how stiff and unnatural Rusalka felt among humans. I did not like it quite as much when in Act III, Rusalka wears a slightly modified version of the dress that is eventually lit from underneath the skirt with what I think are intended to be little fairy or spirit lights, meant to lure mortals to their death. I love the idea, but the lights were far too vivid to appear spirit-like to me. I would have preferred much weaker lights scattered among the scenery with Rusalka's lights moving among them, almost but not quite blending in. I think that might have better conveyed something more mysterious, something a person might be lured to follow. Musically, I have no complaints. The role of Rusalka is sung by Ana María Martinez, an HGO favorite (and former studio artist) that we've seen here in Madame Butterfly and Carmen. She transforms very believably from the slightly eerie nymph to the unsure young girl who cannot compete with a sophisticated foreign princess -- in fact, their juxtaposition reminded me very much of Maria and the Baroness in The Sound of Music. In any case, Ms. Martinez has a beautiful voice as well as the grace of movement to fit such a physical role. Handsome tenor Brian Jagde sang the role of the Prince, his voice truly rising above the music on occasion. Also particularly notable was baritone Richard Paul Fink (another HGO studio alum) as Rusalka's father, Vodník. The music itself, sung in Czech, was stirring, although I felt there were at least three moments on which the third act could have ended before it actually did. That's not really the kind of thing you're going to mess with, though, because it would also mean missing out on some of the orchestral music, and it's hard to have too much Dvořák. All in all, this is well worth seeing for a tragic, grown-up take on a centuries-old myth. Performances are on Friday January 29, Sunday January 31, Saturday February 6, Tuesday February 9, and Friday February 12, 2016. 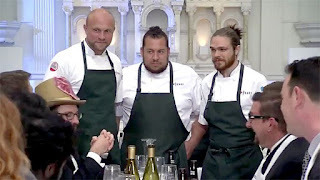 To start off the episode, the chefs finally returned to the actual Top Chef kitchen, where guest judge and Top Chef alum Antonia Lofaso was waiting to preside over the Quickfire Challenge. Each of the remaining chefs had 20 seconds to choose an ingredient, and those ten choices would be the only ingredients available to them. Phillip chose beef and Isaac chose chicken, which some folks weren't happy about because it meant they had to provide the essentials such as salt, vinegar, and olive oil as opposed to choosing an ingredient they themselves might really like to use. During judging, I thought it odd that Antonia made Kwame essentially admit that yes, he'd selfishly chosen garlic for his ingredient, but didn't do the same with Chad, who chose jalapeños. In my mind, garlic is a much more universal and adaptable ingredient than jalapeños. Other choices included mushrooms, tomatoes, and celery. Once again, some chefs were unhappy because they thought celery was a bad choice. But Antonia echoed Jason's comments about his choice of celery: you can serve it cooked or raw, and you can use the leaves as an herb. Not surprisingly, there were several beef carpaccio-style dishes. Jeremy won the challenge, earning immunity, with Mark as a close runner-up. Now this is a small thing, but as someone who always wants the playing field to be fair, I'm often distressed by the way things are done on this show, or by the fact that certain rules aren't explained, at least not to the viewers. First, giving each chef only 20 seconds to choose an ingredient meant that they had to run, in a kitchen. That's dangerous and stupid. Second, it was not clear to me whether the chefs only had the use of the exact amounts placed on the ingredient table. For instance, I find it hard to believe that they all had access to only that one small package of beef that Phillip chose. But at the same time, one of the chefs brought over an entire basket of tomatoes, yet Jeremy had difficulty getting anyone to give him a tomato to use. Kudos if Top Chef has suddenly decided to minimize food waste -- which I highly, highly doubt -- but if the chefs are limited to only a few ingredients, they all have to have access to each ingredient. Jeremy shouldn't have had to waste precious time begging for a tomato. For the Elimination challenge, Padma tasked the chefs with creating a dish exploring who they were ten years ago, since this is the tenth anniversary of Top Chef (even though they're in Season 13). They served the food as a "Chef's Table for 10" right there in the kitchen, with show alumni Michael Voltaggio, frequent judge Richard Blais, and Mai Lin joining Antonia. Not surprisingly, some chefs did better than others at turning memories into inspiration. Kwame struggled a great deal, in large part because he couldn't separate unhappy from happy memories. In addition to his odd choice of making jerk-seasoned broccoli, he cut his hand, which didn't help his plating any. He appeared on the bottom at Judges' Table, along with Jason and Phillip, and was seriously lucky not to go home. That fell to Jason. While I didn't think Phillip was likely to be the one eliminated, he really needs to stop talking. He still seems intent on somehow convincing the judges that anything he does wrong is because "they" didn't want him to cook his own food. Jeremy might have been on the chopping block too, had he not had immunity. On a happier note, the top three this week were Marjorie, Chad, and Carl. Marjorie made a green curry inspired by the green cook she thought she was ten years ago. She was alarmed when Whole Foods didn't have lemongrass, which is an essential ingredient for a green curry, but she was resourceful, and successfully incorporated grilled lemon into her dish. I was glad for her win. Two random thoughts: first, I think chefs should be careful with the plate smear. It can look elegant, but it's overused and it can also look distinctly unappetizing. Second, I sure don't miss Grayson, and I find I don't miss Angelina either. I feel like the kitchen is more grown-up without them. This was a fun episode. For the Quickfire, I liked the idea of fish tacos made on a San Diego pier, and a lot of the food looked delicious. My main takeaways from the Quickfire were that 1) Angelina needs to concentrate (she plated her dish on the cutting board instead of the plates); and 2) Wesley needs to clean up his act. First he misplaced his lobster (I seriously thought it had crawled away until I realized what had happened), and then, during the sudden death elimination, he almost put the spoon from his mouth back in the food again. Remind me never to eat in a restaurant where he's cooking, because that's obviously a habit with him. In any event, poor Angelina went home after not plating her food, then failing to beat Wesley in the Sudden Death challenge. She did well in that head-to-head challenge, which was to use the classic ingredients of a Caesar salad in a new way, but I stand by what I've said in earlier posts. Angelina wasn't quite ready for this. I do think that given a few more years of experience, she'll be a force to be reckoned with. Oh, and as far as I'm concerned? Phillip can just go home any minute now. I was happy for him when his tacos were so well received, and I understand that he was disappointed not to be in the top three. But the proper response is to say "I'm disappointed," not to say "What, am I not supposed to be making yummy food?" That demonstrated that he is egotistical and self-centered in the extreme, because he literally can't conceive of the possibility that his food might have been delicious, but the food of three other highly trained chefs was just as or even more delicious. Get over yourself, Phillip. The elimination challenge was also surprisingly fun. I'm not a beer drinker myself, but I enjoyed hearing about the various flavors that Padma, Tom, and guest judges Emeril and Richard Blais incorporated into "their" beers. And I'm always happy when the chefs draw knives, or in this case beer bottles, to make things as fair as possible. Padma's beer was a golden ale flavored with ginger, jalapeño, and tamarind; Richard's stout incorporated ras el hanout (a North African spice blend), beets, and chocolate; Tom's wheat beer featured lemon, coriander, and banana; and Emeril's beer took on a New Orleans tone with coffee, cayenne, and tangerine. So I didn't really get the title of this week's episode until Isaac mentioned his banannaise, a banana mayonnaise. Because trending is everything, Top Chef wasted no time: they named the episode after it, and even flashed a hashtag on the screen to make sure we all got it. I was surprised then, when Isaac's dish wasn't a particular hit. -- Opah: "a large deep-bodied fish with a deep blue back, silvery belly, and crimson fins, living in deep oceanic waters" (according to Google's "define" function). Good to know, I guess? -- Cracklin: OK, this I've heard of, but I never really paid attention. It's "a fried piece of pork fat with a small amount of attached skin." Yeah, I don't think I'd like that as much, but foodies do really like pork. -- Mojo: Kwame's street food that he turned into something that impressed Tom, and that the judges said could compete anywhere (for that reason, it surprised me a bit that he didn't win). In any case, from Wikipedia: "In Cuban cooking, mojo applies to any sauce that is made with garlic, olive oil, and a citrus juice, traditionally bitter orange juice. It is commonly used to flavor the cassava tuber and is also used to marinate roast pork." -- Velouté: from Google, "a rich white sauce made with chicken, veal, pork, or fish stock, thickened with cream and egg yolks." I might be odd, but that doesn't sound all that good to me. And Isaac's dish didn't look all that appetizing, I have to say. [/vocab lesson] When it came down to the weakest dishes, the judges singled out Jason's pork and squid meatball with grilled tentacles (which Richard Blais said might be the weirdest thing he's ever eaten), Isaac's velouté, and Wesley's badly cooked lamb. Padma told Wesley to pack his knives and away he went. I wasn't happy to see him go because I think he's a decent guy, but as I said before, I'm really not sure I'd want to eat in his restaurant. He's like the Tasmanian Devil Chef. An unrelated aside: hey Bravo, I think it's cute that your ads keep calling A Girlfriend's Guide to Divorce a "scripted series." In the old days we used to call that a "television show." In the spirit of better late than never, here are some thoughts on Episode 5 of this season's Top Chef. For the Quickfire Challenge, the chefs went to a date farm -- that's a place where they grow dates, not a new and horrible reality television concept. So naturally, they had to create a dish featuring dates, and also inspired by a favorite or best date that they themselves had been on. Some of the chefs played fast and loose with that concept, like when Chad tried to turn his love for his daughters into a "date" with them. Yeah, not so much. Worse, some of the chefs barely got the dates into their dishes. Those of us who've been watching the show for a while now know that one of the unspoken rules is that when the judges ask you to feature an ingredient, they don't mean that you should dribble a little bit of it into a sauce, dressing, or (especially) foam. In any case, I was happy to see Jason win with his dish of dates and carrots. It reminded me a little of the carrot dessert Gregory made last season during the finale, and I bet it tasted phenomenal. I was less impressed with the guest judge for the elimination challenge, who did nothing to dispel any of the myths about models. I think lots of models are intelligent -- look at Padma -- but the coy innuendo thing from Chrissy Teigen was kind of stereotypical. On the other hand, all the guest judges this season have been given bad-pun-dialogue at some point or another. Whoever's writing that? Please stop. For the elimination challenge, the chefs were tasked with providing the wedding reception food for 24 gay and lesbian couples tying the knot. I was glad to see familiar face Art Smith as a guest judge here, and even happier when he told the chefs that after his own fiasco trying to make a wedding cake on Top Chef: Masters, he was going to spare them (not to mention the wedding couples) the misery that would come from forcing them to make the cake. But back to the wedding. I'm normally less interested in the non-food moments of the show, such as the chefs calling home to husbands and wives in what seem like very self-conscious, almost staged conversations. But when Padma, who had just gotten ordained, married the couples, I was more than happy to sit back and enjoy the moment. You could tell how much these couples love each other, and while I'm thrilled that this important social step forward happened in my lifetime, I'm also ashamed that it took so long in the land of the free. In a similar vein, I loved the little story about Tom losing and finding his wedding ring. (My husband and I have a temporarily lost wedding ring story too -- maybe that too is universal in marriage!) I'm glad that his rabbi encouraged him to proceed with the wedding only a few short days after 9/11. Love is love. I always like it when the chefs do well, and the appetizer course had three judge-pleasing dishes. I'd love to know what those carrots tasted like. And I just realized I've talked about carrots twice already in this post, which is funny because I generally consider raw carrots to be an aggressive, in-your-face kind of vegetable. I eat them, but they're not my first choice. In the hands of a trained chef, though, I think they can be made sublime. For the next course, I was uncomfortable with the tension between Jason and Angelina. On the one hand, I think she's not ready for this show, and she's been coming off as a little immature. (I'm not biased against young people; Kwame, by way of contrast, seems incredibly mature although people keep commenting on his youth.) On the other hand, Jason's repeated comments about this being his dish began to grate after the third or fourth time. But the dish was a hit, and he was right: it wasn't because of Angelina. Ultimately, that has to have been the best wedding meal that a Top Chef crew has produced to date. The only off-notes were Phillip's potatoes and Giselle and Karen's vegetables. Everything else looked fantastic and impressed the judges, especially the dessert. I am not a dessert girl at all, but that's one I would have loved, especially if the cherries were tart. In any case, poor Kwame looked nervous even though he'd just won the entire challenge for the shrimp dish he and Wesley put together. He needn't have worried, because Padma had said earlier that Kwame's sauce saved the dish. Now although I'm not crazy about Phillip or his cooking, he did say that his potato ... whatever would taste like mashed potatoes, not that they would be mashed potatoes. And I wasn't too impressed that a bunch of judges not on the chopping block felt compelled to jump in with their comments at this point. In the end, Giselle went home. I think, as she said, she was one of the nicer people there, but it never felt like she really had her act together. I originally thought her comments about Phillip not seeing his own flaws was out of left field, but when she went on to say that at least she and Karen realized they could have/should have done better ... well, she was right! And Phillip still couldn't see his flaws, no matter what the judges said. (I still think Jason should have stayed the heck out of that, though.) Overall, I think the right person won this challenge, and probably the right person went home, although I couldn't have quibbled if it had been Karen instead of Giselle. For once I'm writing about an opera while there are still plenty of opportunities to see it here in Houston. So here it is: if you've been thinking about trying out an opera but have been unsure, this is the one. The Marriage of Figaro is a classic comedy of deception and disguises in the name of love and (more often) lust. It's composed by Mozart, so contains some of the world's prettiest music, and it's sung in Italian (with English surtitles), which is possibly the world's prettiest language. But the best part about this production is that it's set in the 1970s and it totally works. I mean, it doesn't just work -- it's a complete blast. You just haven't lived until you've seen an opera cast dancing the Monkey and the Twist to Mozart. If that sounds too over-the-top, don't worry -- it's muted and modified so that nothing is too much. There is just enough 70s in this production to be recognizable and fun without being ludicrous. And setting the production in the 1970s wasn't an excuse to skimp on the sets or make them kitschy or campy. These sets, by designer Christopher Oram, are among the most lush and sophisticated I've ever seen. In the first half of the opera, the action takes place in three locations: the outside of the Count's palatial summer home (where the Count and Susanna literally drive up in an Austin Healey), an interior bedroom that will be Susanna and Figaro's quarters once they marry, and the Countess's boudoir. In the second half, we see the palace hall where the weddings take place, and the garden where everything finally gets sorted. The massive scenery rotates seamlessly, and each set seems more impeccably detailed than the last. As for the performances in last night's dress rehearsal, I think the women really stole the night, with Heidi Stober as Susanna, Ailyn Pérez as Countess Almaviva, Lauren Snouffer as (young male) Cherubino, and Purem Jo as Barbarina. The artist meant to sing the role of Count Almaviva, Joshua Hopkins, was ill, so a gentleman whose name I didn't catch walked the part on-stage while HGO Studio Artist Ben Edquist stepped in to sing the part from the side-stage. Adam Plachetka was enjoyable as Figaro, but for voice, presence, and comedic acting, my favorite male singer was Peixin Chen as Dr. Bartolo. And speaking of acting, the comedic body language by many of the characters (especially Susanna) was delicious. When it comes down to it, though, the music is the real attraction. From the overture to the arias, this is some of Mozart's best. My favorite moment, musically, is the letter duet, when the Countess dictates to Susanna a fake letter, in which Susanna invites the Count to meet her in the garden. It's truly exquisite. Another fun thing for me is that I'm starting to recognize the performers, from the stars that the Houston Grand Opera brings in for most of the lead roles, to the former or current HGO Studio artists. HGO has a brilliant program here that's feeding the opera world. Fortunately for us, the alumni often come back for a visit. Opening night is tomorrow (January 22, 2016), with additional performances on January 24, January 30, February 3, February 5, and February 7. I can't wait to see it again. The last thing I wanted to do was get behind on Top Chef posts, but the universe conspired against me.... And continues to do so, because this Thursday I'll be going on a writing retreat and won't have access to a television! So my posts for episodes 4, 5, and 6 are all destined to be Top Chef "quickies," I'm afraid, which essentially means a lot of stream-of-consciousness thoughts as I watch. For this episode, the chefs traveled to Palm Springs. I loved the Quickfire challenge, which was to create a dish on a solar-powered oven or stove. Whether you got the oven or stove depended on your knife draw. I love the alien look of wind farms and we chose an electric company that is 100% wind and solar power, so how could I not like this? I felt sorry for Giselle when her oven exploded. As someone who once killed a hot Pyrex dish with cold water, I can sympathize. I was happy for Wesley's win. I'm a sucker for any chef who expresses a little humility and seems genuine in saying they simply want to do their best, as opposed to slipping through because someone else has done badly. For the elimination challenge, the chefs became two teams, blue and orange, based on whether they'd gotten stoves or ovens in the Quickfire. Their task was to create a four-course progression to be served from refreshment carts on one of Palm Springs' many golf courses. There was only one bit of drama, when Giselle and Angelina, both on the orange team, indicated they didn't want to work together on a dish. The others were slow to concede, but they finally let them pair up with other chefs. In my mind, that was the right call, because if you know going in that one of your pairs won't work well together, you're asking for a dish to tank. On the other hand, maybe it's deviously smart to put two weaker (based on record so far), sniping chefs together, because if they do tank their dish, you'll probably be safe from elimination even if your team loses because one of them will probably go home. Me, I much prefer the "let's be the best team we can be" approach as opposed to the "how to play it safe" mode. And ironically, it turned out that Angelina's new pairing tanked. With guess who .... Grayson. Although Grayson generally hasn't made a very good impression on me, and failed to do so again tonight, I will say one thing -- I thought that as she went up to shake the judges' hands and say goodbye, Tom really didn't need to get one last dig in. They judges had already told the pair that the decision about who was home would come down to one ingredient. In other words, Grayson's corn or Angelina's shrimp. So when Grayson was sent home, she knew it was because of the corn. Tom did not need to say it again. I imagine he felt compelled because she's shown that she doesn't listen well, but that wasn't the time. That said, I'm not going to miss Grayson. She tries to pretend, but she has not learned how to accept criticism in a graceful, mature manner. This is something I have some experience with; several years ago, I went to Clarion West, a six-week science fiction and fantasy writing workshop in which we did nothing for six weeks but criticize each other's work. You don't argue with the critiques and insist you're right, even if you think so privately. And you should probably realize that usually there is something valid in the criticism, especially if the critiquers (or in this case judges) agree with each other -- it's not just a fluke in that case! I was happy for Karen and Jeremy, who nailed their ceviche dish. It was unfortunate for Kwame and Chad that the first course was a head-to-head "battle of the ceviches," because theirs didn't look bad, but suffered by comparison and lack of ice. To be honest, I'm surprised they didn't think of the "ice solution" too -- it's not rocket science. Jeremy took home the big win. The judges said it was for his perfect fish, but I think it was just as much the ice. More power to him. Favorite quote of the episode: when Padme said of Phillip's oysters, "It was like snot on a rock." I don't like to see people made the target of snark, but Phillip (whom I can't help thinking of as Marcel) really made a bad decision there. I wasn't even thinking of how unappetizing the oysters might be under those circumstances; I was worried his dish would be full of grit from the rocks! Biggest annoyance of the episode: why weren't the chefs given hats during the Quickfire? That was incredibly irresponsible of the show, and they could have used it to their advantage -- put Top Chef caps on all of them, and you've got free merchandise branding and promotion. Dish I most wanted to taste: Isaac's grapefruit sabayon. I love citrus. All in all, this was a decent episode. As with November, my December short fiction reading was a bit scattered. While I've finished my challenge of reading at least a short story for every day of the year (i.e. at least 365 stories), I didn't manage to read anything the last few days in December, although that was less about Christmas and more about New Year's, which is the big holiday for me. In any case, I did read a total of 445 stories in 2015, a number of which I felt justified in putting on SFWA's recommended reading list. I plan to continue this for 2016, and want to spend January reading primarily for award nomination purposes. 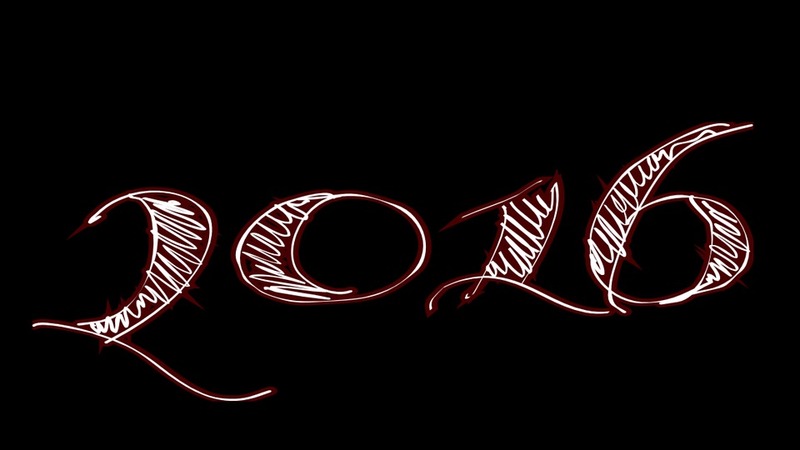 I also plan to do a summary post for 2015 in the near future, once I get the house back in order after the New Year's Eve festivities and get back from an artists' retreat I'm attending to start off the new year. This month, I read three novellas by Brandon Sanderson: Legion, which I'd read once before; Legion: Skin Deep; and The Emperor's Soul. I absolutely adore Legion's main concept, in which a schizophrenic man's mind creates "aspects" for him, or hallucinations of distinct personalities that have different skill sets. In fact, his mind specifically creates each aspect right when he has particular need of new skills. He knows they're hallucinations -- and most of them know they're hallucinations -- but he really has no choice but to treat them as though they're real, up to and including living in a mansion so they all have their own rooms, and sitting at a large table in a restaurant so whichever aspects are with him can "eat" too. The different personalities are wonderfully individual characters, which is a nice feat. 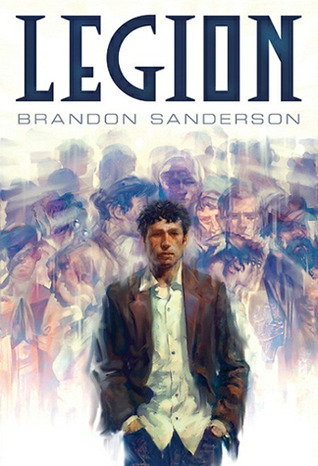 In the first book, Legion, someone has photographic proof of time travel, but the inventor has disappeared. It's a nice little mystery at what seemed to me to be the perfect length. Unfortunately, I didn't find the second book, Legion: Skin Deep, nearly as satisfying, mainly because I found the mystery, especially the motive, less than compelling. There was some nice character development among the aspects in this book, but it felt as though the author was deliberately holding back information to save it for another book in the series. I know that authors do this all the time, but I found that the specific amount of character development that was in this book actually had the reverse effect of making me want what wasn't there. 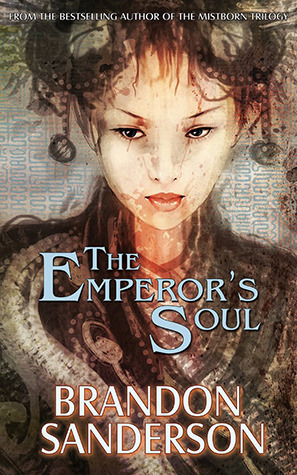 Unrelated to the Legion series, I also finally got around to reading Sanderson's The Emperor's Soul, which won the Hugo award for best novella a few years ago. In this story, Shai is a forger, who can rewrite objects' history to make them into something else. She's also a criminal scheduled for execution, but has been offered a way to save her own life: she must forge a new soul for the Emperor, who unbeknownst to his subjects is brain dead from an assassination attempt. The forgery process as described by the author is quite fascinating, although I found it more believable for objects than for a personality. 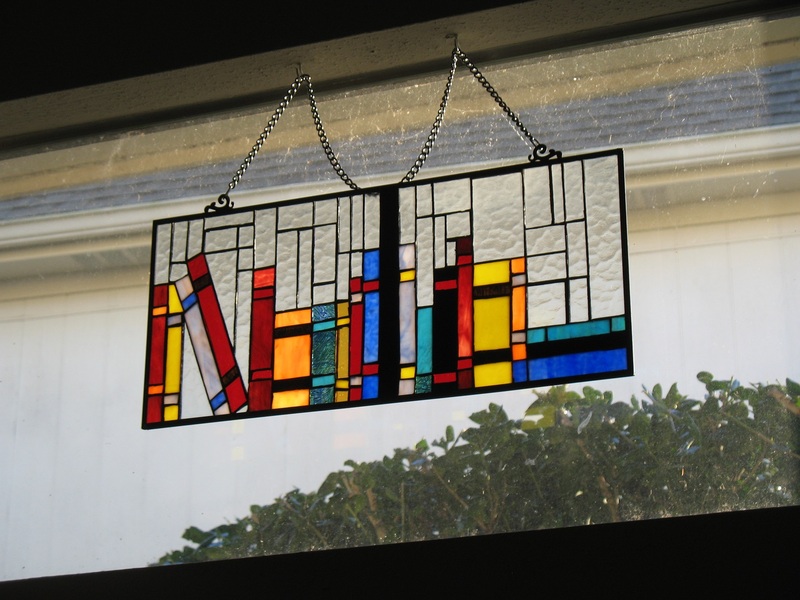 For instance, I loved that Shai could turn her window into stained glass because the frame "remembered" having once held stained glass, and it would prefer to be all that it can be, an object of beauty. Shai can also forge her own soul into other people she might have been, such as trained warrior when those skills are needed. That's actually quite similar to what happens in the Legion novellas but with a different process behind it. Clearly the author is intrigued by people who can provide themselves with all sorts of skills, and no wonder, because it's a compelling idea. I definitely recommend The Emperor's Soul, which is available from the publisher, Tachyon, or the usual retailers. I loved this flash story about a researcher attempting to re-introduce extinct ammonites into an eco-system. It's not precisely a "list" story, but it's specifically constructed around numbers in a sort-of list format. I didn't realize until after the fact that the Fibonacci of the title relates to a very specific set of numbers, so it was fun looking up more about that once I'd learned of it. And it's also a romance. 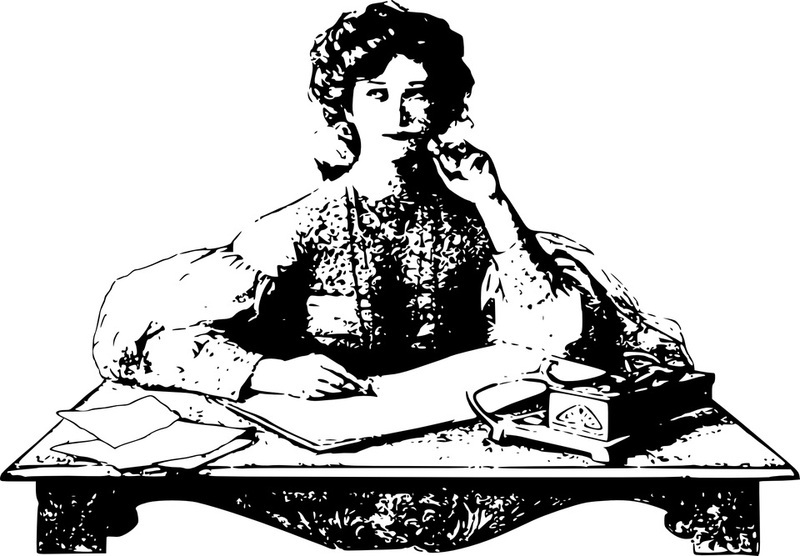 So much is packed into these beautifully chosen 996 words! There are things about the story's construction that I didn't notice until after I had finished it, making it well worth re-reading. There's so much to there to "unpack." 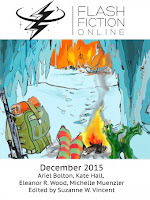 Read here at Flash Fiction Online.